all from a single account. Richard Raue, President, HiTech Computers. Struggling with survey response rates, using your native PSA survey? 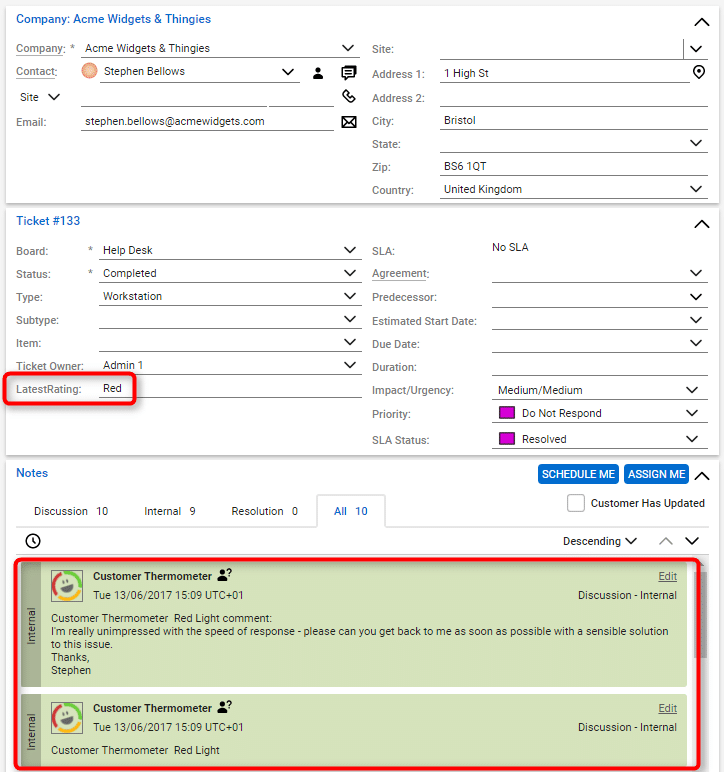 Replace the native “click here to complete a survey” link in your ticket closure email templates with our Embedded Thermometer 1-click icons. We work with all of the major PSA tools. Ask for feedback on ticket replies and closures. Use any type of icon – make them engaging and on-brand. Ask any question – make it relevant. Take preventative action in real time. Reward and incentivize your technicians. Customers hate filling in surveys. Customers love providing feedback, if the mechanism and timing is right. Not everyone in your business works within your PSA. 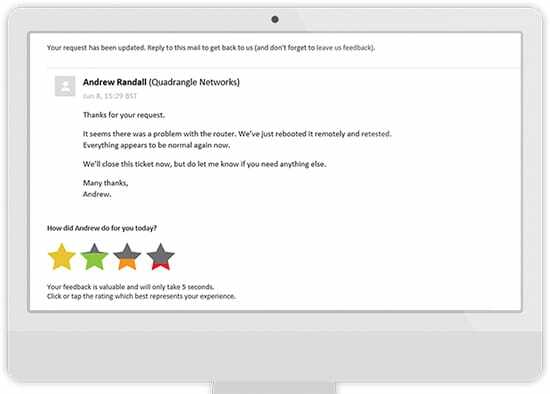 Allow your sales and accounts teams to get adhoc feedback during their day. Make your Outlook signature work for you. choose when to ask for feedback. Great for adhoc feedback for staff outside of systems. Provides customers with a simple mechanism to get help or reward. Report separately or combine with other surveys. It’s the customers who go quiet that you need to worry about. Think about the ones who sign the renewal in 12 months’ time, who you don’t deal with every day. Ask them regularly about how they’re feeling. 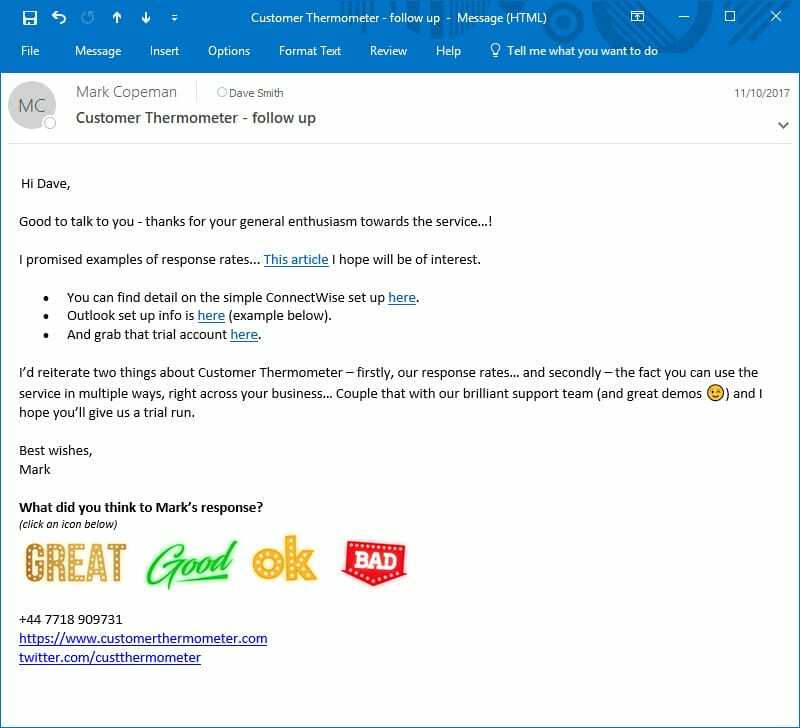 Create your Email Thermometer template. Choose your wording carefully – make it personal. Upload your list of contacts and send out your blast. Watch your ratings and comments roll in, in real time. When a recipient clicks an icon, they see a customizable acknowledgement page and can leave an optional comment. Every business makes mistakes. Fixing them is what matters to customers. 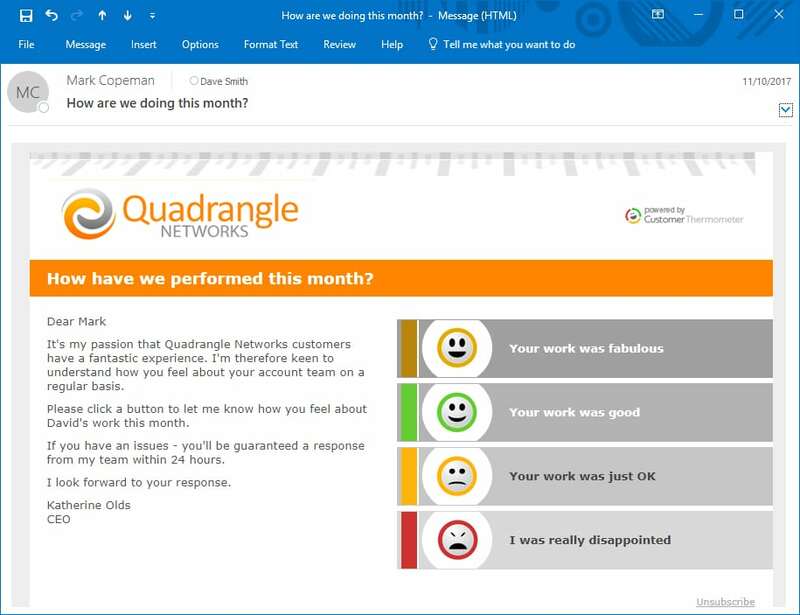 With our 1-click MSP customer survey – you will know exactly who is giving you feedback. So you can instantly follow up with that customer and put things right again. Today’s fast paced world is making long ’20 question’ surveys obsolete. Get actionable insight using Customer Thermometer. You’ll never lose another customer. We work with lots of PSAs. 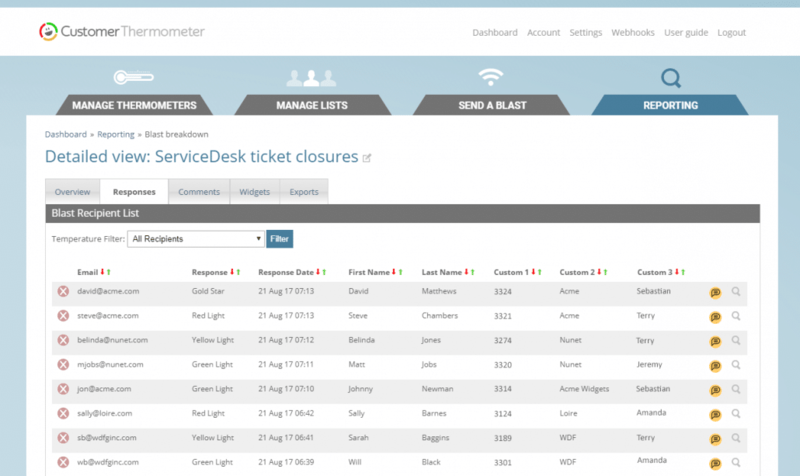 We can record all recipient details, technician name, ticket number and more. With many PSAs, we can even write ratings and comments back, directly on the ticket. For more advanced users, use our Webhooks to push responses into other systems and trigger automated events and workflows. As we like to say, the click, is just the beginning. It’s what you do with it that really counts. 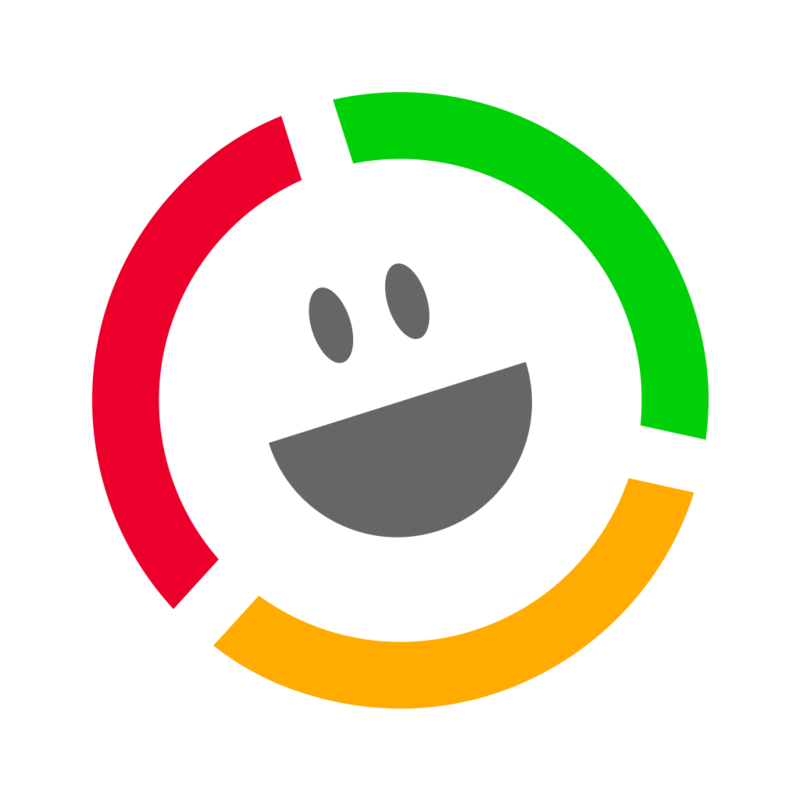 “We implemented Customer Thermometer just days ago and have already received over 60 pieces of feedback!